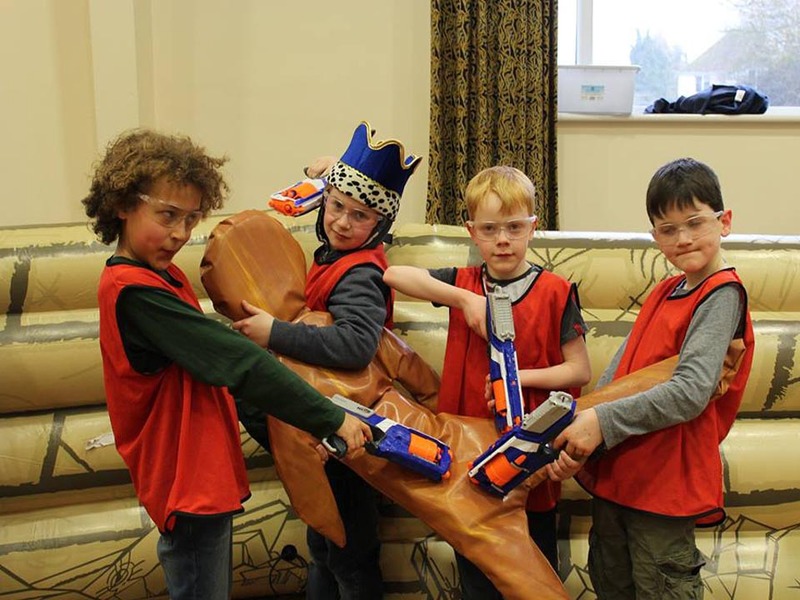 The new and exciting Nerf Wars Berkshire, Hampshire, Wiltshire, Oxfordshire & Surrey. Can be used inside or outside and is perfect for birthdays, fetes, fun days and many other events. 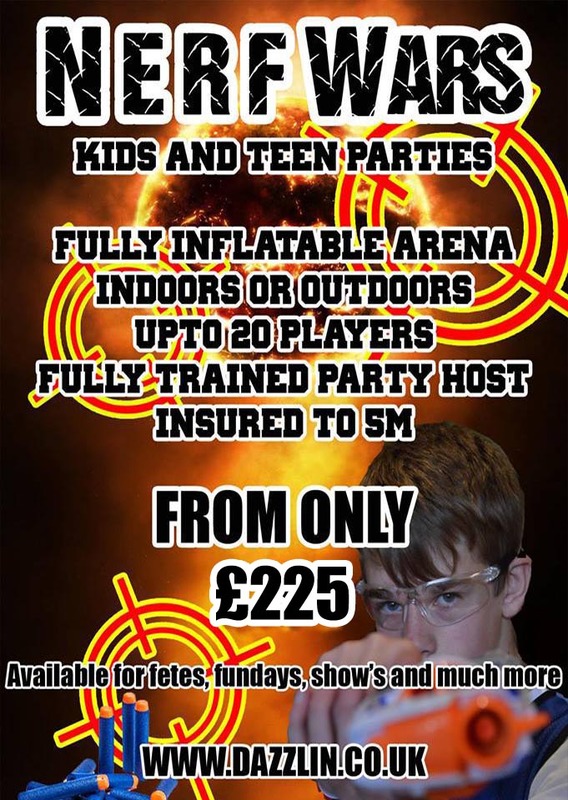 We bring our fully inflatable obstacles, blasters and enough safety equipment for up to 20 players. Not forgetting our fully trained staff to make sure everyone gets involved in our energetic team games such as capture the flag and rob the bank. 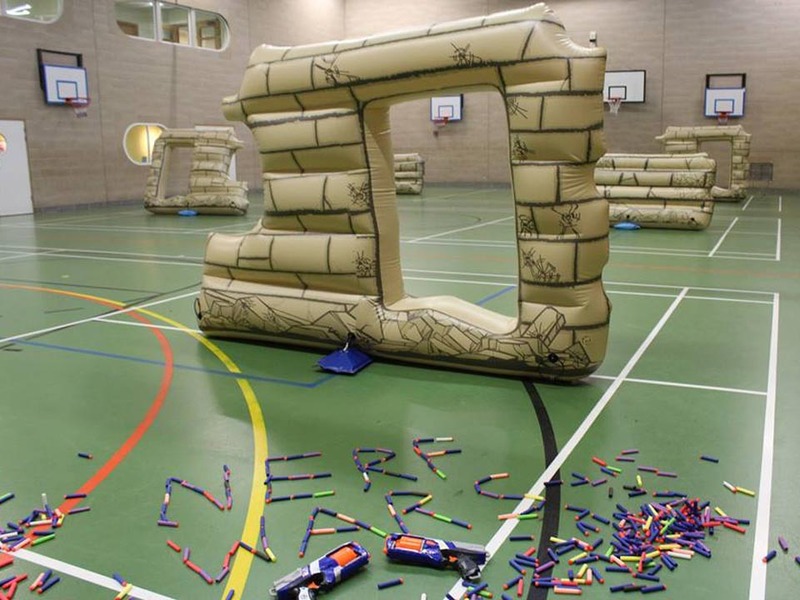 The Nerf arena is able to travel all over the south of England. Available in Berkshire, Hampshire, Wiltshire and Oxfordshire. All you need is a nice open space, a village hall or sports hall is perfect. We bring everything required to turn the space into a war zone. Set up and take down of our equipment. A briefing by your Instructor. They will be your guide as you take your first steps into the war zone. Battle in the inflatable arena. Here you must use your blasting abilities to work as part of a team to protect your base and capture objectives. Work as a team to fulfill your teams missions, from capture the flag to rob the bank. All will be revealed by your instructor. Blow your child away with the best party idea ever! A fun party for children aged 6 and up. Our instructors will organise players into teams for you and then run a number of different games for them. 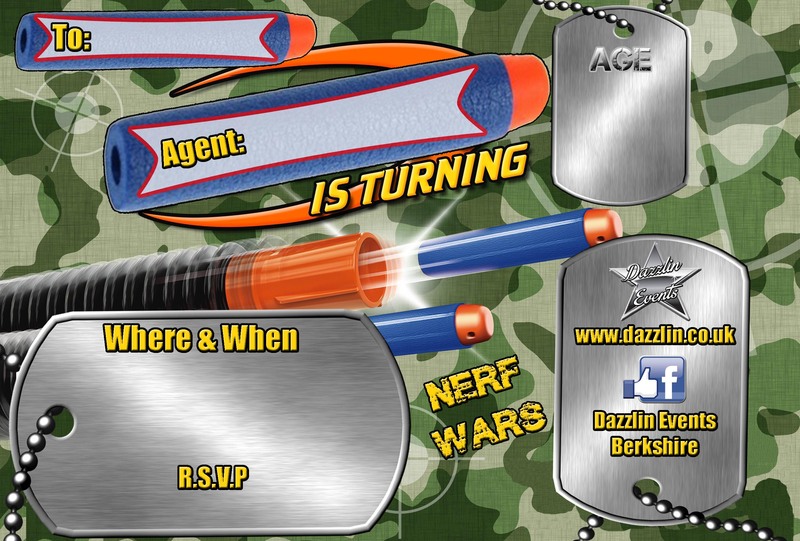 We provide every guest with their own air blasters which fire soft foam darts at the enemy. Safety is our number one priority so all guest are issued goggles and must wear these at all times. If we are travelling to a venue of your choice, we will require additional time to set up our inflatable equipment. Please also inform us of other factors such as stairs in the venue.